Unexplained weight gain, weight loss, depression, inability to focus – these are just a few of the symptoms that may be indicative of a thyroid disorder. The thyroid gland regulates many different processes in your body, including metabolism, reproduction and brain function, and a malfunctioning thyroid can affect your health in various ways. This butterfly-shaped organ influences how fast your heart beats, how quickly you burn calories, regulates your sleep, contributes to heat production, tissue growth and other important physiologic functions. 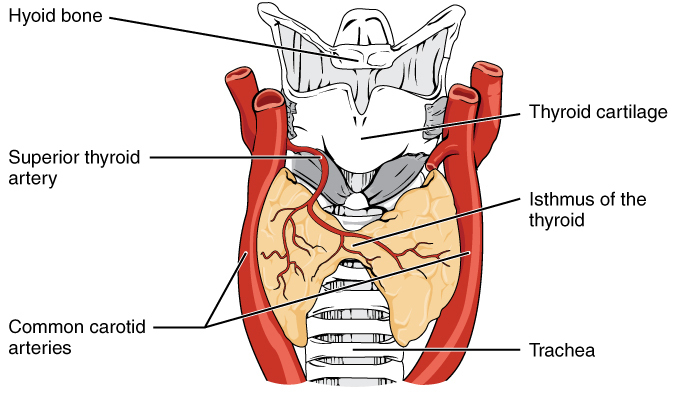 The thyroid produces and stores the body’s metabolic hormone (also known as TH), which is essential for the development of your skeletal and nervous system. Stress, aging, hormonal imbalances and other factors can lead to thyroid disorders. Hyperthyroidism, also known as overactive thyroid, is one of the most common thyroid diseases, which occurs when the gland produces an excessive amount of thyroid hormones. With hyperthyroidism you can experience weight loss, intolerance to heat, poor sleep and a rapid heartbeat. Hypothyroidism has the opposite effect where the thyroid gland doesn’t produce enough of the hormone. Its most common symptoms are weight gain, chronic fatigue, mood swings, lack of concentration and menstrual irregularities. Many of the symptoms of thyroid disorders are non-specific, sometimes making it difficult to diagnose. Some patients, however, experience no symptoms at all, and for this reason thyroids disorders often go undiagnosed and can worsen over time. Dr. Ali Ghahary, a physician at Brentwood Medical Clinic in Burnaby, British Columbia, sends patients for appropriate blood tests in order to check for potential thyroid disorders. While Dr. Ghahary is currently not accepting new patients, it is essential that you see a doctor if you or anyone in your family has a history of thyroid disease, and if diagnosed with hyper or hypothyroidism it is important to have blood tests done every year in order to monitor your hormones, prevent flare-ups of symptoms and lessen your risk of complications. According to the Canadian Pain Society, one in five adults live with chronic pain. Additionally, at least 8% of children and adolescents also live with chronic pain, affecting one’s quality of life and making it one of the prevailing reasons for emergency room visits each year. At Brentwood Medical Clinic in Burnaby, British Columbia, Dr. Ali Ghahary sees and treats patients dealing with chronic pain on a regular basis. Chronic pain is typically divided into two different categories: Nociceptive and/or Neuropathic. Neuropathic pain takes place when there has been nerve damage done to the body, whereas Nociceptive pain occurs due to the damage of body tissue. Examples of Nociceptive pain include burns, fractures/sprains and inflammation. Both Neuropathic and Nociceptive pain can also happen as a result of cancer, either by a tumor pressing on a nerve, blocking blood vessels or spreading to bones and muscles. Neuropathic and Nociceptive pain, however, are both perceived and described vastly different. While Nociceptive pain is usually characterized as a throbbing or aching pain - treated with NSAIDs (Ibuprofen, Ketorolac, Naproxen), Neuropathic pain is oftentimes expressed as a burning/tingling sensation or numbness, and can be the more difficult of the two to treat. In addition to the use of NSAIDs, Neuropathic pain is also generally treated with anti-depressant or anti-convulsant medications. Exercise has also been known to greatly benefit in the management of chronic pain. That being said, chronic pain management varies from person to person. What works for one individual may not work for the next or have the same kind of result, making it a case of trial and error. If you suffer from chronic pain or have any questions relating to the management of chronic pain, it is imperative to have a discussion with your family doctor in order to come up with the best treatment regimen for you. 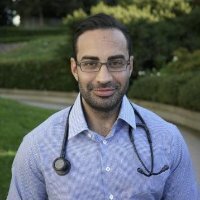 Licensed by the Medical Council of Canada, Dr. Ali Ghahary practices at Brentwood Medical Clinic based in Burnaby, British Columbia. Along with treating minor health conditions, Dr. Ghahary also cares for patients suffering from mental health disorders such as depression and anxiety. 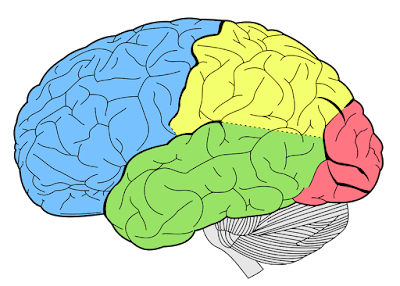 Some symptoms of depression and anxiety include: insomnia, constant worrying, feelings of hopelessness and rapid heartbeat - and, like any medical problem, if left untreated, mental illness can become increasingly debilitating to not only the patient, but to those around them, and can lead to many life-altering challenges including withdrawal from society, difficulty concentrating, fatigue, emotional anguish and other abnormal behavioural changes - violence, alcohol and substance abuse among them. Sometimes even doing simple, everyday tasks such as getting out of bed or communicating with loved ones can become quite daunting. This is why it is of the utmost importance to treat these kinds of disorders early-on in effort to safeguard the patient from further harm. In doing so, Dr. Ghahary works in conjecture with counsellors, clinical psychologists and psychiatrists in building and following a stringent treatment plan for the patient which oftentimes includes the use of anti-anxiety and anti-depressant medications as well as promoting healthy lifestyle changes such as physical activity to help manage symptoms and alleviate stress. It’s just as important to treat the mind as you would the body.